In May I shared ideas of events to participate in during the month of June in Portland. It was so popular that I am going to share what to do in July with you this month and finish out the summer months in the same pattern. Wherever you live, take a look around and see what is going on in your community. There are so many wonderful things to do with little expense and a lot less travel time. Sea Dog Nights & Gypsy Carnival: Only in Oregon can you find a camping trip based exclusively on everyone acting like pirates or gypsies. Once I have a costume in place; I headed out to participate! 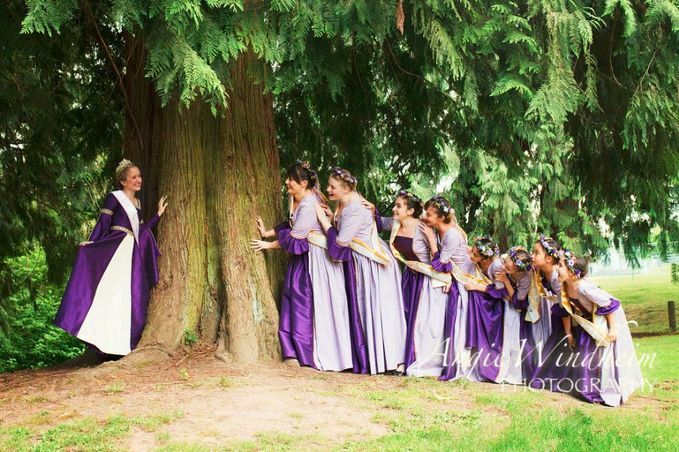 Sherwood Robin Hood Festival: This was a lot of fun last year and can’t wait to participate again! 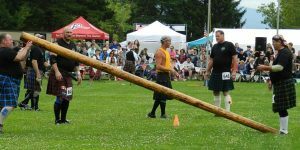 Portland Highland Games: If you haven’t ever been to a gathering of highland games before, you really should remedy that this year. It is a lot of fun and absolutely amazing to watch. I promise—your kids will love it just as much as you. Hawaiian Festival Pacific Northwest: This is the closest I am going to get to the islands this year so I am going to make the most of it. Aloha! Portland Slavic Festival: This is a culture I am not very well versed on and would like to learn more so I am headed out to explore. These all look fabulous! Too bad I can’t come do any of them with you guys! You’ve always got fun ideas!! One day you will be able to do them with me and I am sure it will be sooner rather than later.